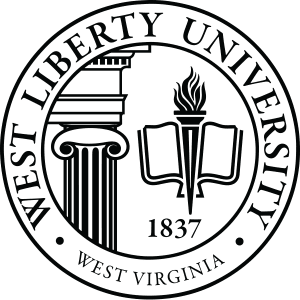 WEST LIBERTY, W.Va., Jan. 18, 2019 — West Liberty University announces its Dean‘s List for outstanding academic performance during Fall Semester 2018. Students must attain a 3.50 grade point academic average and complete a minimum of 12 semester hours to qualify for this honor. Albright: Dakota Knotts, Seneca Manko. Benwood: William Bauerle, Coleton Berletch, Cassidy Campbell, Jayden Conner, Amanda Hall, Josephine Jarrett, Juliana Moore, Michele Rodak, Alexis Williams, Aubree Williams. Berkeley Springs: Makenah Harrington, Olivia Stohl, Charles Welch. Bethany: Rachel Krems, Jasmine Paxton, Ashley Sherman. Bunker Hill: Kelly Millner, Nicholas Millner. Cameron: Jennifer Cain, Maggie Lyons. Charleston: Abbie Henry, Olivia Montgomery, Calesha Williamson. Chester: Bryan Congo, Rachel Halstead, Grace Juszczak, Marques McHaffie, Taylor Mckay, Lindsey Smith, Morgan Vollberg. Clarksburg: Anna Malone, Danah Phillips, Chaz Rodeheaver. Colliers: Autumn Dodson, McKenzie Fox, Aaron Hudson, Hannah Scott, Ethan Secrist. Elkins: Mikaela DeMotto, Sydney Schumacher. Sasha Phillips, Hunter Sistilli, Lindsay Six, Noah Teaff. Friendly: Lauren Anderson, Lenora Howell. Katherine Stamper, Jada Voellinger, Paige Wallace. Glen Easton: Peri Gray, Bailey Lyons, Emily McLean, Hannah Salkovick. Grafton: Kelsi Jones, Miranda Sandy. Harrisville: Louis Alborano, Rachel Haddox. Hedgesville: Mikayla Bayer, Sarah Fonner. Hurricane: Tayler Miller, Luna Phalen. Inwood: Ethan McDonald, Spencer Mcdonald, Michelle Smith. Kingwood: Emma McClelland, Kate McClelland. Lost Creek: Tonya Ables, Larrin Shriver. Martinsburg: Elizabeth Conley, Miranda Forsythe, Allyson Hager, Collin Lewis, Emily Rudy, Kalyn Watkins. Morgantown: Dylan Anderson, Callie Carroll, Emily Evans. Moundsville: Elizabeth Allen, Savannah Allen, Haley Baker, Avery Barnett, Abbey Bauer, Victoria Berisford, Katelyn Brooks-Bartolovich, Charles Bursee, Danielle Cook, Brandon Durrah, Brittney Fisher, Lauren Garcia, Andrea Garrison, Autumn Hayes, Nichole Jackson, Jasmine Jasenec, Kaitlyn Jones, Alexa Logsdon, Heather McIntyre, Danielle Minder, Hannah Morris, Laral Saunders, Branson Sawinski, Haley Sessums, John Sherwood, Kaytlin Shockey, Megan Stout, Sara Tennant, Hannah Thomas, Chandler Wayne, Roger Wells, Megan Wise, Jeffrey Yeater, Lewis Yoho. New Cumberland: Lonna Cline, Emmy Delekta, Morgan Hicks, Hannah Jacobs, Mackenzie Jacobs, MaClay Moore, Daniel Morgan, Tyler Warrick. New Martinsville: Kayla Bierce, Taylor Cline, Michael Dantrassy, Matthew Durig, Lindsey Eddy, Hannah Eller, Aimee Gaines, Zachary Haught, Taylor Hess, Deryn McCardle, Kameron McClain, Townsend Midcap, Jon Moore, Jacob Pancake, Sean Philp, Justin Rice, Brianna Ritz, Jentry Shultz, Jacob Starkey, Summer Timbs, Shannon Williams. Paden City: Jenna Arnett, Mitchell Cooper, Alexandria Glover, Aaron Heasley, Jennifer Hickman, Dezirae Middleton, Amber Neff, Jacob Pierce. Parkersburg: Autumn Allman, Madison Anderson, Megan Bosley, Lauren Brown, Blake Neely, Madisson Perdue, Chad Richards, Abigail Wilson. Petersburg: Isaac Cardot, Corey Secrist, Erica VanMeter. Proctor: Doris Bridge, Randi Efaw, Jordan Grimm. Ravenswood: Claudia Cubides, Alex Easthom. Sistersville: Barbara Baker, Samantha Frum, Autumn Wells, Hogan Wells. Valley Grove: Skylar Carrington, Emily Holman, Clay McDonald, Meghan Murphy, Tanner Och. Vienna: Mackenzie Boone, Courtney Stackpole. Waverly: Brook Brady, Lily Tuttle. Weirton: Edward Aul, Ronald Bane, Lexey Brenneman, Cody Enrietti, Ericka Fonner, Emily Fournier, Tricia Guglielmo, Macey Gump, Gregory Gust, Alec Hawken, Meghan Hawthorne, Kayla Hinchee, Jennifer Kinder, Elaine Klar, Hannah Larkey, Amy Marosz, Maria Mazzone, Hannah Minger, Alessandra Morrocco, Tasha Ocobock, Taylor Quickle, Paden Raymond, Jake Riccelli, Jessica Roth, Marisa Scott, Matthew Secrist, Charles Smith, Daphney Tanner, Clarissa Tournay, Anthony Veltri, Mitchell Viakley, Abbigale Wells, Alyssa Wilson, Noah Woods. Wellsburg: Destiny Brown, Alexandra Burdick, Courtney Elliott, Cole Hartley, Kaleigh Hendrickson, Mary Hicks, Megan Lees, Sara Lilly, Erika Logston, Hannah Mozingo, Jennifer Myers, Victoria Parsons, Ryan Phelps, Samantha Smith, Ryan Smurthwaite, Tucker Yano. West Liberty: Marissa Brown, Mary Creedon, Genevieve Fields, Kayla Hungerman. Wheeling: Donald Adkins, Janette Adkins, Cameron Amend, Makenzie Amend, Calista Anderson, Heather Archey, Kenaida Bailey-Mills, Isaac Basinger, Christian Beall, Kayla Bennett, Riley Bennington, Sydney Bennington, Lindsay Black, Katie Bleifus, Stevie Boles, Brittany Bonar, Mackenzie Border, Keith Brammer, Morgan Brunner, Joshua Burch, Hannah Burgess, Gabrielle Burriss, Adam Campbell, Allie Cook, Alena Costain, Christopher Costain, Stephanie Courts, Taylor Couture, Alison Craig, Stanley Czahoroski, Windy Darrah, Jarrett Delbrugge, Emily DeTemple, Brek Dimmick, Amanda Drahos, John Duff, Jacob Dziamniski, Hunter East, Cassandra Famoso, Devyn Ferguson, Caitlyn Fithen, Jamie Fogle, Madeline Frank, Kaitlin Franke, Destinee Frye, Audra Furka, Debra Grall, Austin Gray, Kenda Greene, Matthew Gruber, Joseph Haller, Aubrey Harriman, Michael Harriman, Collin Hlad, Hayley Hollandsworth, Jessica Hopkins, Casey Hostutler, Jonathan Howard, Emily Huff, Logan Ingram, Megan Jacobs, Adam Jarrett, Taylor Jasko, Benjamin Jones, Valerie Julian, Christian Kaftanic, Aimee Kefauver, Patrick King, Melissa Kirkbride, Cole Koontz, Katie Kota, Ryan Kozik, Tyler Kreitzer, Sophia Lewis, Keren Lubembo, Brice Lucas, Victoria Lungu, Hannah Marshall, Monica Mason, Andrew McGlynn, Bennett McKinley, Connor Michaels, Monica Minor, Theresa Morgan, Maria Murphy, Shayla Murray, Anna Musap, Hannah Muth, Nicholas Nardone, Nicholas Nestor, America Nuckles, Christian Oliver, Alexandria Parker, Amber Parsons, Rachelle Patterson, Lee Peluchette, Gino Peroni, Morgan Petchar, Nathan Phillips, Sarah Phillips, Carson Ray, Baily Rehm, Brandon Rehm, Isaac Rine, Lauren Ritz, Emily Roe, Gabriel Rohmann, Emma Romanek, Emily Salvatori, Ross Salvatori, Gerardo Sarmiento, RaNysha Saunders, Breanna Sayre, Connor Schiffer, Sierra Schmidli, Kyler Schnarr, Jessica Schultz, Austin Schwanenberger, Joseph Seabright, Isaiah Selmon-Miller, Bethani Shackelford, Samantha Shipley, Jason Sivert, Kylie Smai, Tyler Smith, Luke Snedeker, Kadie Stanford, Kendahl Stanley, Angela Stevens, Sydnie Stewart, Aarian Stradwick, Kevin Stryker, Leanna Taylor, Emily Toland, Marisa Tordella, Jared Ullom, Justin Vargo, Joseph Waddell, Taylor Warren, Colleen Watkins, Spenser Watson, Allyson Whorton, Blake Williams, Heather Williams, Kimberly Wolfe, Lillian Wolfe, Colten Wright, Megan Wright, Jacob Yoho, Carrie Yost, Zachary Ziolkowsk, Christina Zoeckler. Williamstown: Ashton Chancellor, Loren Fulks, Jocelyn Hively, Brianna Lynch, Austin Raines. Amsterdam: Skylar Fankhauser, Corrine Hackathorn. Barnesville: Gaetan Sinisgalli, Astin Skinner. Beallsville: Madison Neiswonger, Taylor Shriver. Bellaire: Teresa Conners, Takota Haggerty, Amber Marshall, Shannon Shiflett, Hunter Westlake. Belmont: Baylee Snyder, Caylana Vance. Bergholz: Nolan Marcus, Cheyenne Matta. Bridgeport: Amanda Barath, Miranda Bowers, Jenna Bugaj, Kamden Dulesky, Kyle Imer, Corey Knollinger, Bailey McGrath, Taylor Newkirk. Caldwell: Morgan Riggs, Haylee Saling, Alexis Waller. Coshocton: Alexis Slusser, Jonathon Slusser, Peyton Slusser. East Liverpool: Joshua Cornell, Taryn Williams. Gnadenhutten: Dalton Bolon, Connor Ferguson, Alexis Pasquinelli. Hannibal: Amy Eggleston, Wesley Lloyd. Martins Ferry: Hannah Boyer, Samantha Eimer, Kiasia Griffin, Michael Lloyd, Haley McFarland, Carly McKeegan, Shaelee Monroe, Courtney Moore, Robert Moore, Gage Pyles, Bryanna Vickers, Benjamin Wharton. Millersburg: Samantha Hall, Cameran Yeager. New Matamoras: Tobias Minder, Jodie Springer. Philo: Steven Frazier, Janeil Hartman. Pickerington: Taylor Johnson, Kelsy Nash. Rayland: Rian Trekal, Erika Wick, Eric Williams. Richmond: Emily Ferrell, Charli McConnell, Paige Winland. Graham, Emily Heath, Michael Scarnecchia. Steubenville: Ian Baird, Glory Dami, Alexandria Foremaster, Nathan Grafton, Benjamin Hlivko, Alexis Mastroianni. Sugarcreek: Kaitlyn Stress, Austin Yackey. West Lafayette: Brittany Bradford, Audrey Tingle. Wintersville: Kennadee Kuprowicz, Macy Santicola, Skylyn Wright. Zanesville: Tasia Staunton, Taylor Still-Pepper, Olivia Wofter. McDonald: Bailee Dugan, Kathryn Nelson. Oakdale: Allyssa Bush, Katelyn Carnot. Pittsburgh: Mimi Albon, Michelle Bourkab, Audrey Eisel, Savanah Lilly, Nicolette Pleskach, Cori Sheppard. Washington: Delaney Bird, Tyler Funk, Elizabeth Kochis, Branigan McGowan. ALABAMA – Audrey Meloun, Sarah Meloun. CALIFORNIA – Gavin Harrell, Christian Rita. FLORIDA – Kylee Carcione, Joseph Ierulli, Lisa Weaver. GEORGIA – John Barber. INDIANA – Kendall Souder. MARYLAND – Zayne Brakeall, Kenyon Felder, Meagan Ford, Janelle Stack, Quinton Williams. MICHIGAN – Amanda Leonard, Stephanie Leonard. MISSOURI – Shannon McDermott. NORTH CAROLINA – Theresa Evangelista, Amanda Tamplen. TEXAS – Callaway Barr, Waleed Cherif. VIRGINIA – Maceo Christmas, Juliana Haug, Cody Shook. DEMOCRATIC REPUBLIC OF CONGO – Grace Bulabula. BRAZIL – Raissa Wagner. CANADA – Nicole Lolua, Carleyah McLean, Kaitlyn Taylor. FRANCE – Timothe Tran Van. GERMANY – Johannes Jansen, Justine Seyfferth, Anton Schulz. IRELAND – Claire Kelly. ITALY – Anita Ponti. JAPAN – Ryota Nakagi. NEPAL – AdwitLamichhane. NETHERLANDS – Maurits Smit. PAKISTAN – Izma Javed. PARAGUAY – Enrique Pinanez. RUSSIA – Kirill Niyazimbetov. TUNISIA – Mohammed Zouari. TURKMENISTAN – Natalya Muhametzyanova. UNITED KINGDOM – Anna Johnston, Chloe Riley.